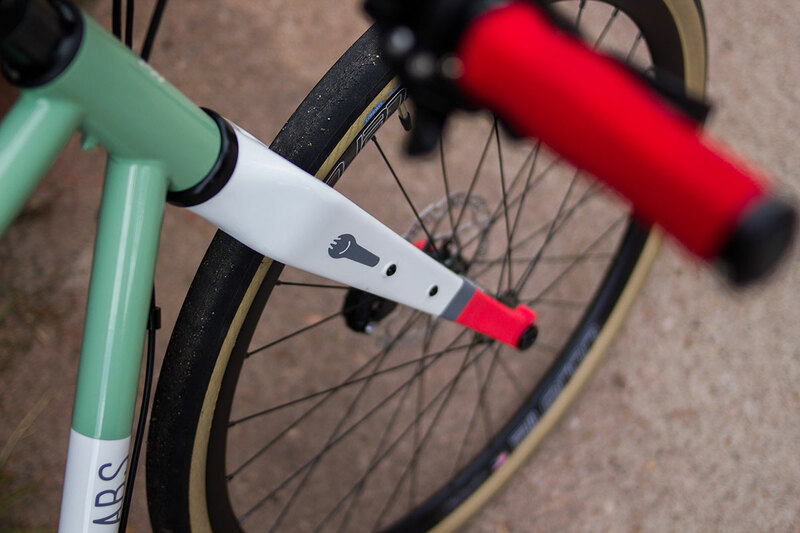 Rodeo Spork Bicycle Fork. 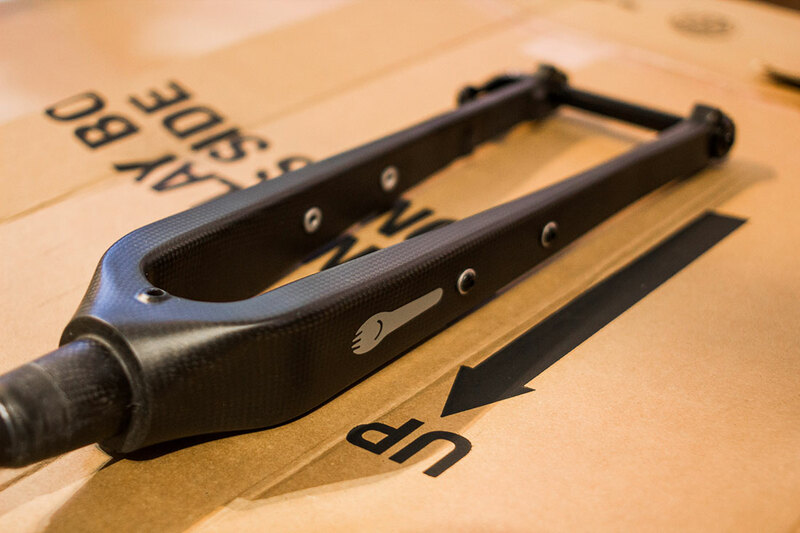 A carbon fiber adventure bike fork. The Rodeo Spork is a highly versatile fork that Rodeo Labs developed for our Traildonkey and Flaanimal bikes. It’s stout design, large clearances, all new internal dynamo routing, and plentiful rack mounts allow it to be adapted to a variety of uses. A 15mm to 12mm step down adapter has also been released and is compatible with all existing Spork versions. The adapter is not compatible with other brands or models of forks. See this page for details. 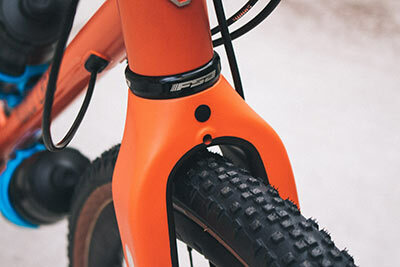 A 15mm x 1.5mm thread pitch swappable insert has also been released for our fork. This upgrades all forks pre-Nov 7th, 2017 with a more common axle thread specification making it easy to use third party axles. See this page for details. Ready to paint 3k carbon finish forks are available to builders only. 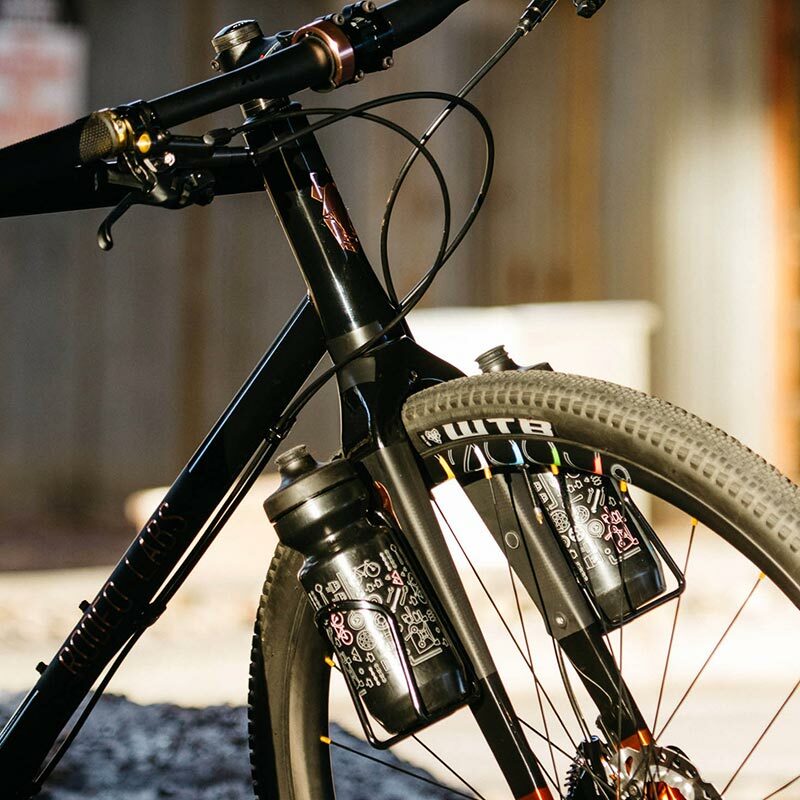 We are excited to work with third party builders and dealers who are interested in offering the Spork either as a part of bike builds or independently as an aftermarket purchase. We offer industry pricing to builders and dealers which will vary based on quantity needed. Please get in touch with us. 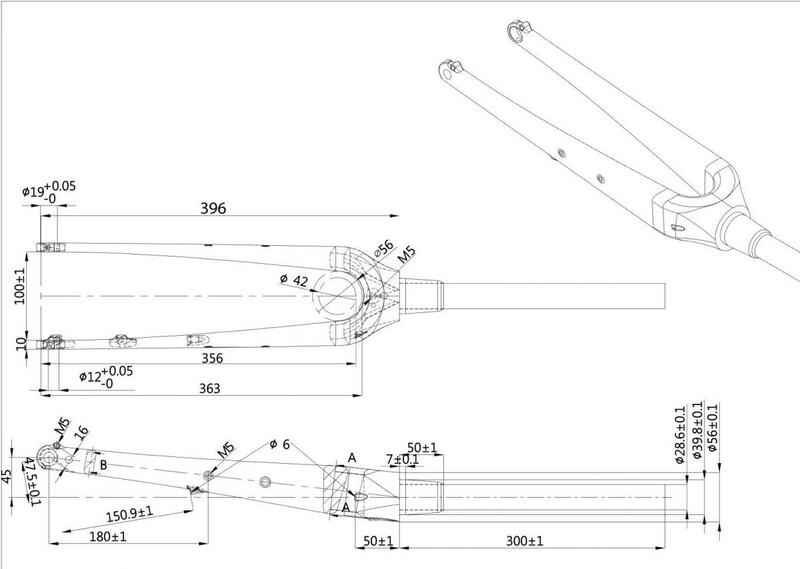 Flat mount brake and post mount brake bolt insertion depth should be between 5mm and 7mm on our forks. A longer bolt will not tighten properly and will strip the aluminum insert when tightened. We recommend medium strength / blue thread locking compound on brake caliper mounting bolts. The included hex front axle is 100mm O.L.D., with a total axle length of 130mm including threads. Axle thread pitch is 1.5mm in both 12mm and 15mm axle diameters. Early generation Spork 1.x used an M14 step down thread on the threaded portion of the fork and can be upgraded with our M15x1.5p insert. 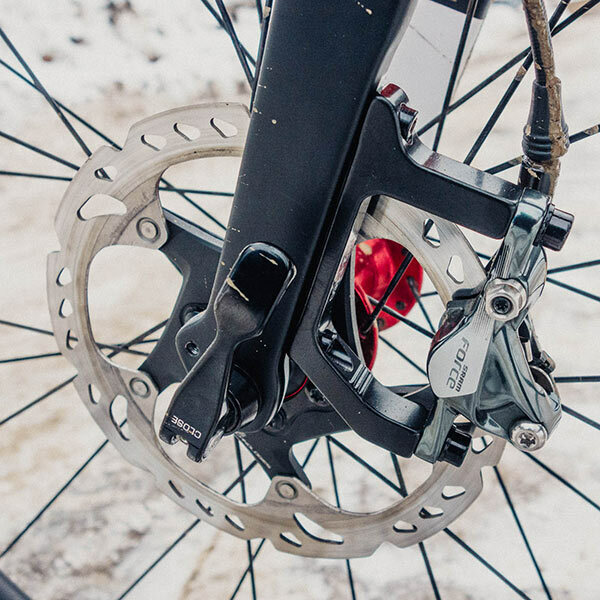 Mechanical flat mount calipers were not yet on the market when we designed Spork 1.0 and our routing has not changed since we designed the fork. We’ve noted feedback from some customers that the routing bend between the lower exit port and the caliper can be pretty sharp. Some users have reported TRP Spyre and HY-RD to work fine with some effort during setup. 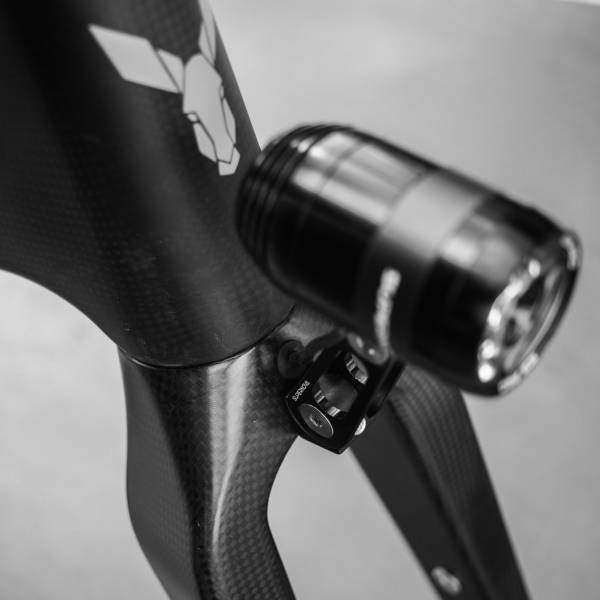 Other owners have reported that HY-RD in particular is very difficult to set up correctly on the 1.2 fork. If using that caliper please consider the 2.o Spork as an alternative. 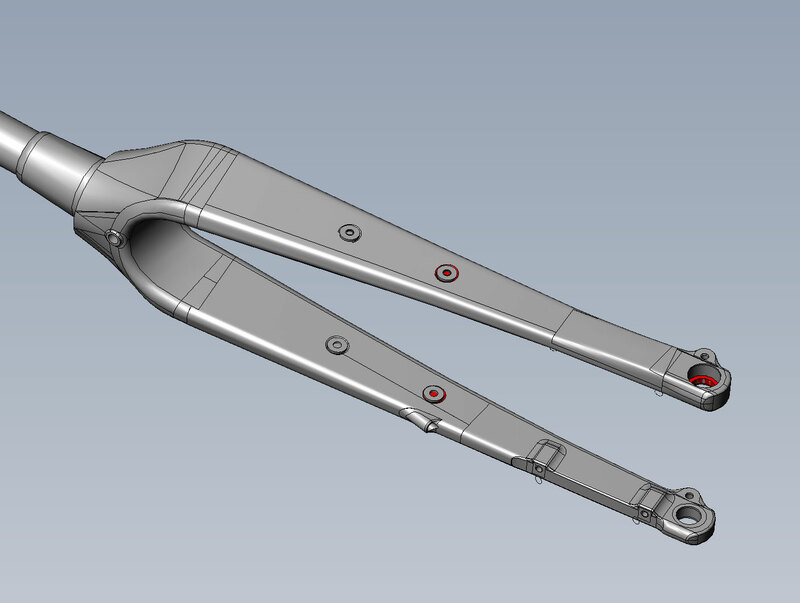 The Rodeo Spork bike fork is a solution to a problem that we came up with when developing the Traildonkey 2.0. 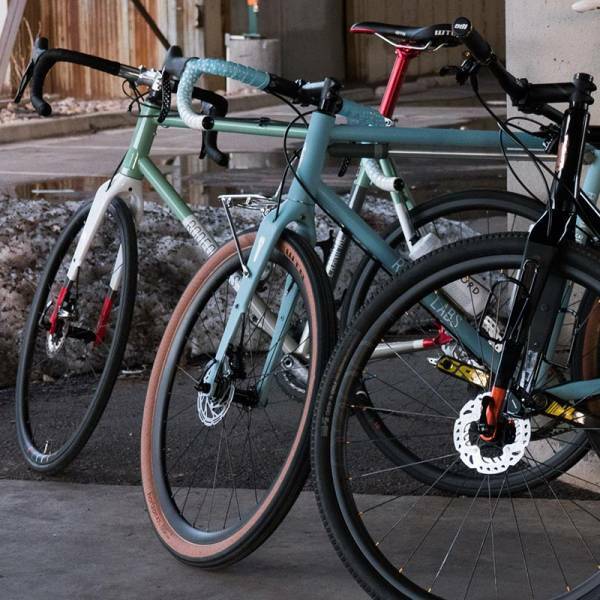 There are a LOT of great forks out there, but nobody made a full carbon – high clearance – rack mountable – fender mountable – through axle – flat mount disc brake – tapered steertube – trail ready fork. So we made it ourselves. There are quite a few excellent CX/adventure style fork options on the market but if you want to start bolting things onto those forks the options quickly plummet to near zero. We solved this. 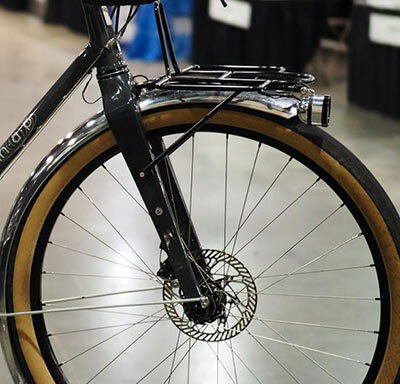 The Spork features a robust crown mounting point molded through the crown for use with racks and fenders. It is designed to accept male/female threaded hardware instead of threading into the fork itself. 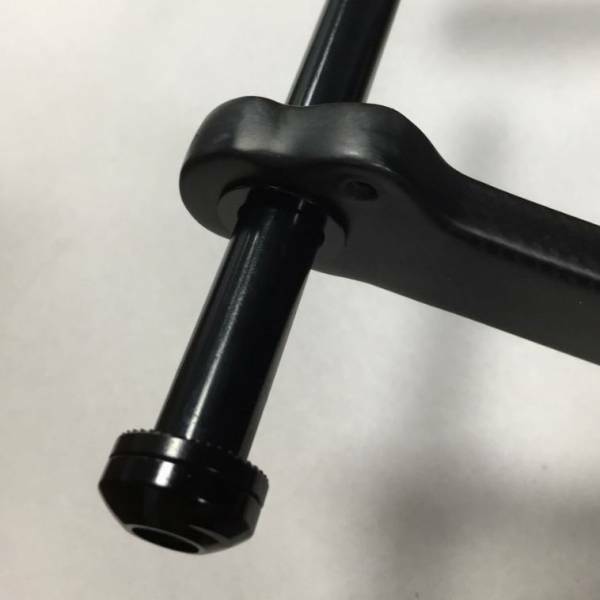 The dual mid leg mount hardware have an increased radius crimp/bonding area for a more durable connection between metal and carbon. 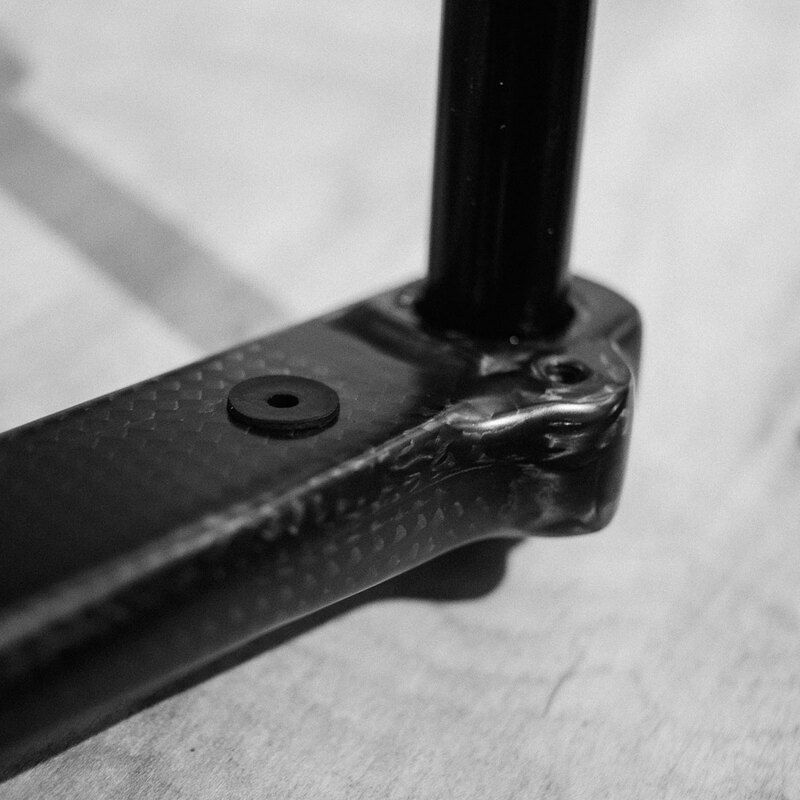 The mid mount hardware also threads through both walls of each fork leg, not just one. This distributes the load across more material. In it’s 1.2 revision Rodeo Spork becomes the first carbon road-plus adventure fork to feature internal dynamo hub routing. Dynamo hubs have been around for a long time but are gaining traction in the adventure bike space due to the ability to power headlights and tail lights non-stop and also power USB charging systems for GPS, phones, cameras, etc on very long rides. The increasing popularity of gravel events over 200 miles often surpasses modern day GPS and phone batteries. Our dynamo ports are discreet when not used. Swappable rubber hardware provides openings for wiring or caps the holes when not in use. 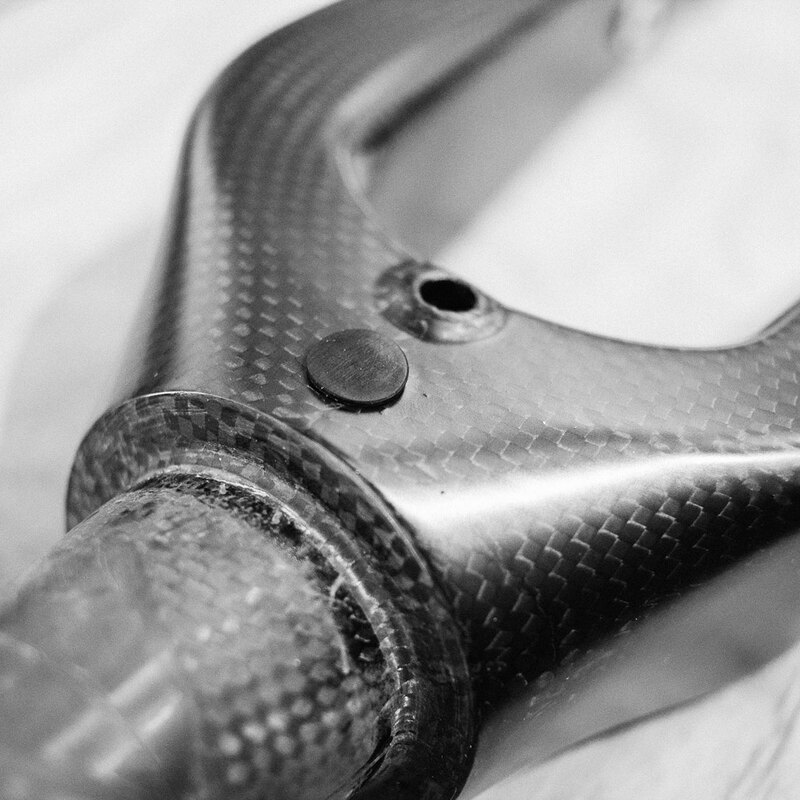 One cannot simply and safely tap holes into a carbon bicycle fork, so Spork 1.2 was completely re-engineered and re-certified with this new design to ensure safety and durability. 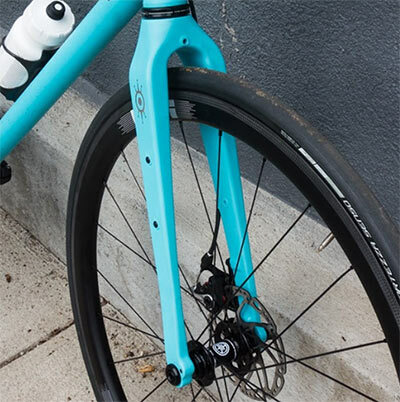 New to the scene in recent years is the new flat mount disc brake standard. 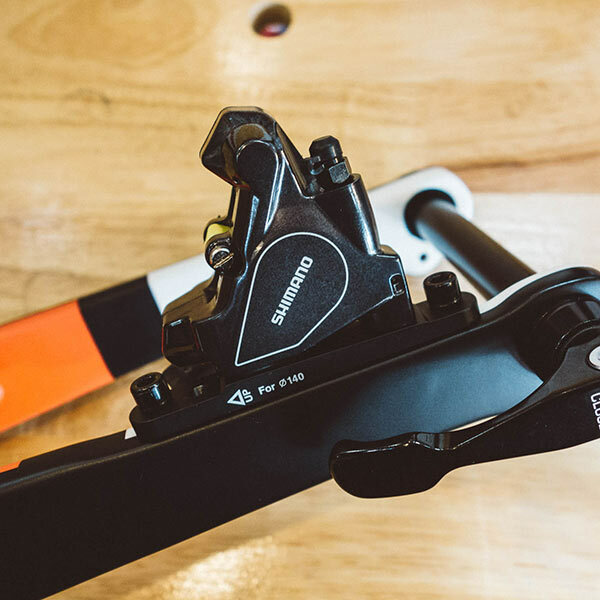 Originated by Shimano for the sake of streamlining road caliper weight and appearances, it was quickly adopted by the rest of the industry. 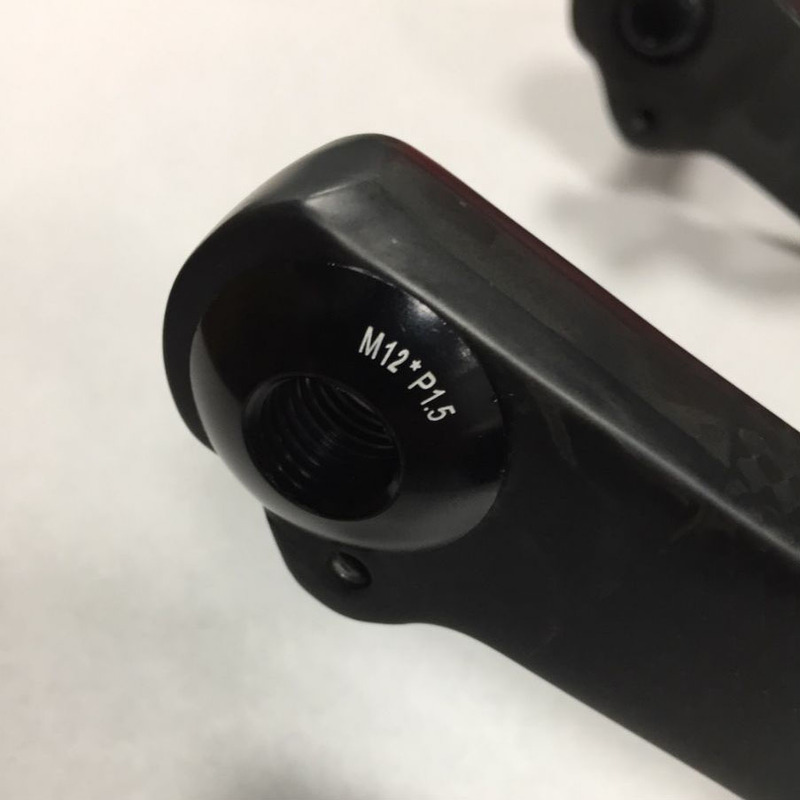 The flat mount standard offers the ability to use a lower profile caliper with a 140mm rotor when desired, but it can also switch to 160mm with a quick flip of the flat mount base plate. Clever stuff. Flat mounts are also reverse compatible with post mount disc brakes so no legacy rotors are left behind. Simply use a flat mount to post mount adapter and you’re good to go. Flexibility is a hallmark of the Spork. The Spork isn’t a delicate utensil to be used only for carving up pavement. First and foremost it’s a sturdy instrument built for surviving the use and abuse of trail riding. At 515 grams (average) we didn’t milk every bit of weight in search of gossamer heights, we left meat on the bone and tested the fork to mountain bike standards, not pavement standards. 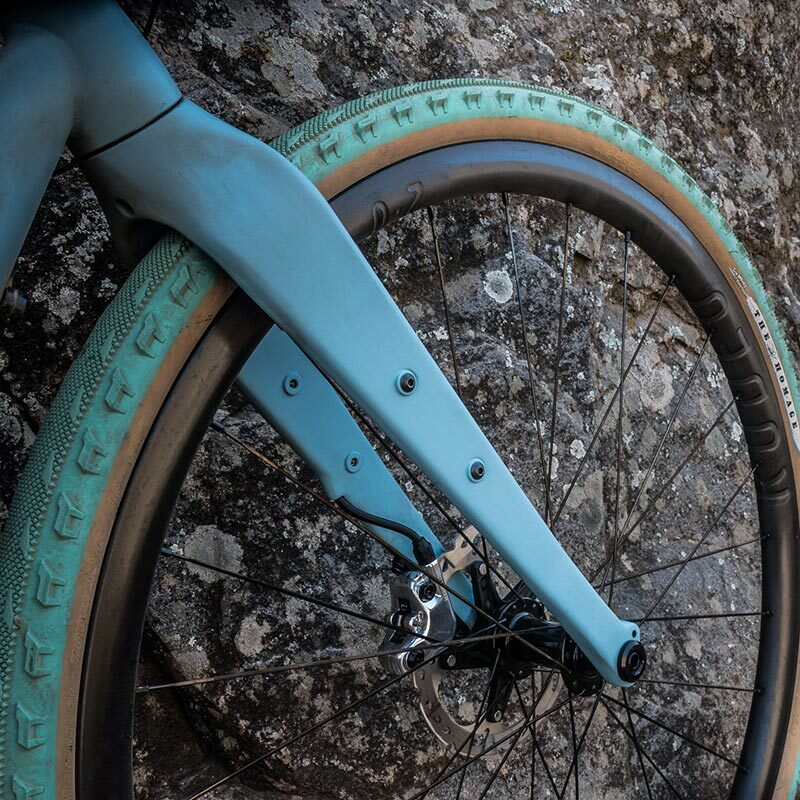 The result is all carbon main fork and steer tube that will go where you take it, and we hope that you take it some crazy places. Can you take it on the road? Of course! 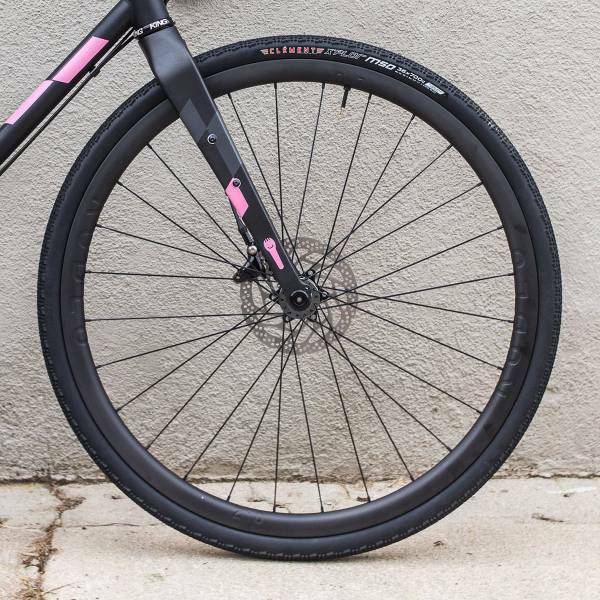 Our layup assures great handling and road manners on anything from slow cruises to fast descents. 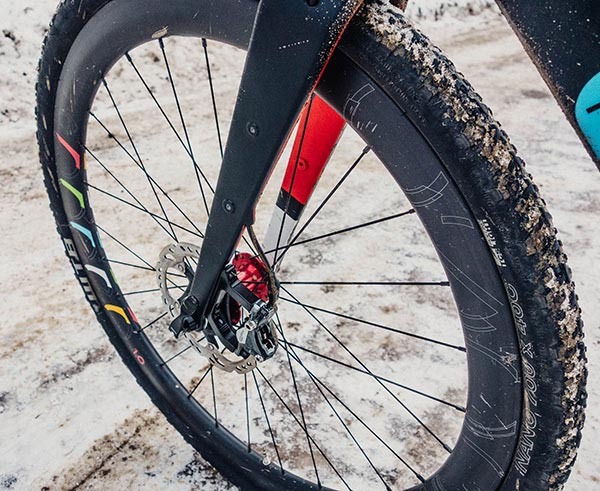 For the sake of maximum stiffness, Spork is built with a 1-1/8″ to 1.5″ tapered steerer tube (SHIS 28.6 | 40). 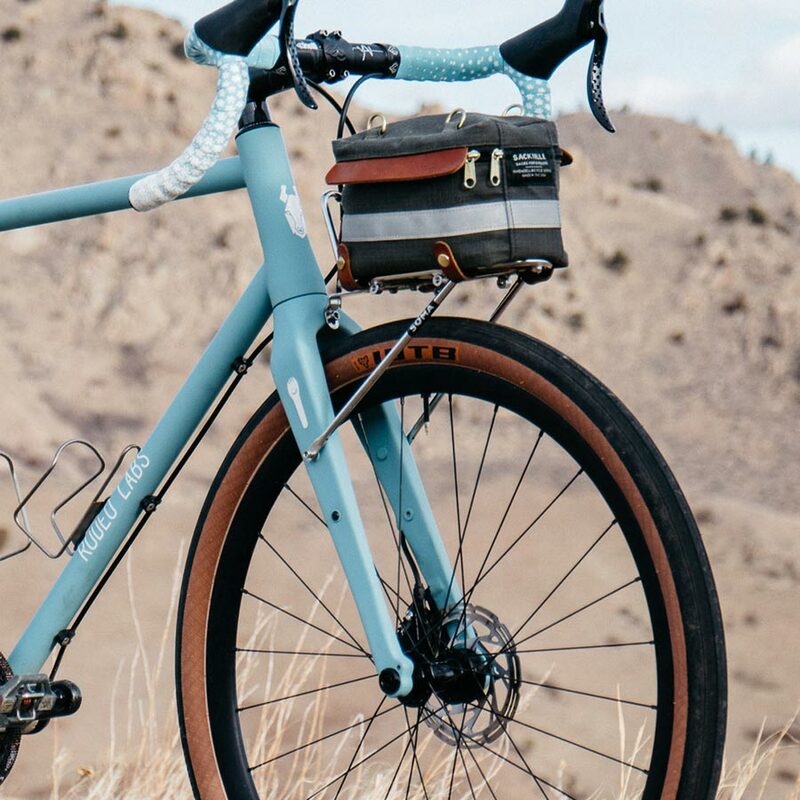 A variety of different head tube / headset configurations can accommodate this size steerer tube, including Traildonkey with it’s internal upper and lower bearings, and Flaanimal’s 44mm head tube designed for zero stack upper and external cup lower. 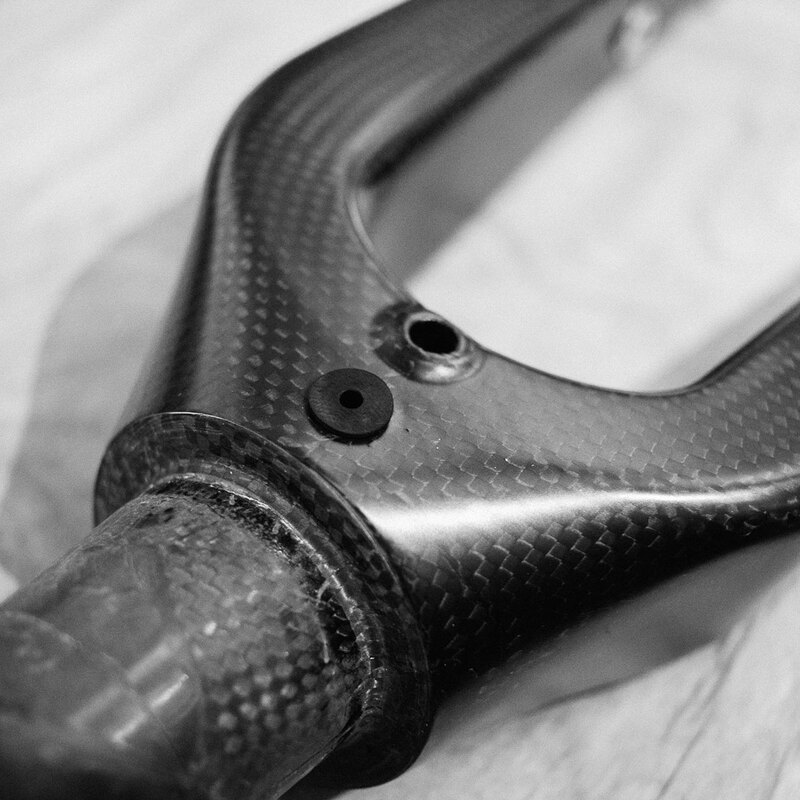 If you’re unsure of Spork’s compatibility with your frame, have a look at Cane Creek’s SHIS sizing chart, or get in touch with us for assistance.